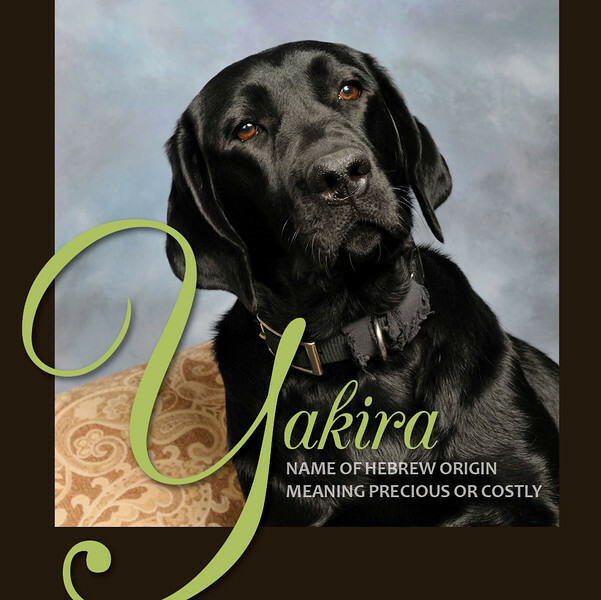 In honor of Yakira’s recent graduation and since I finally have her puppyhood book finished I decided it was a good time to do a series of post on her book. This is the fifth book I’ve done for the puppies we have raised. You can see Apex’s, Banta’s, Casey’s and Waffle’s books by following the links on their names. (Oops, I’ve never posted Apex’s Book. I’ll have to put that on my to do list.) I designed Apex’s from scratch and then made a template based on it for all of our black dogs. Then a tweaked the coloring for all of our yellow dogs. I customize for each one by changing the font for their name etc and the accent colors for that font. Using the template really helps in speeding up the time it takes to put each book together. I also like the continuity that it brings to the series. Beside using the template for the layout, all the books text is based on the concept of taking their initial and finding words that start with the same letter to describe their personality, trait or memory of that puppy. Yakira was a challenge because of that. If we succeed in getting an “X” puppy someday, I think I’ll have to adjust that guideline and find words containing the letter x. 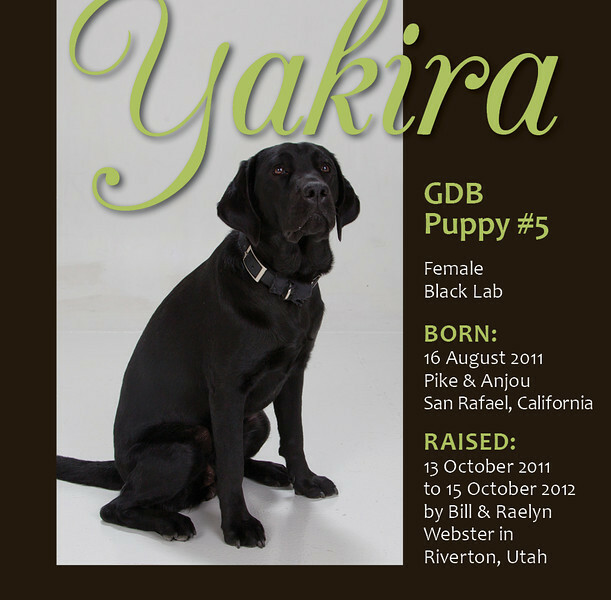 This entry was posted in Guide Dogs for the Blind, My Projects, Yakira, Yakira Book and tagged Alphabet theme book, Guide dog, guide dog for the blind, Guide Dogs for the Blind, self publishing, Yakira. Bookmark the permalink.